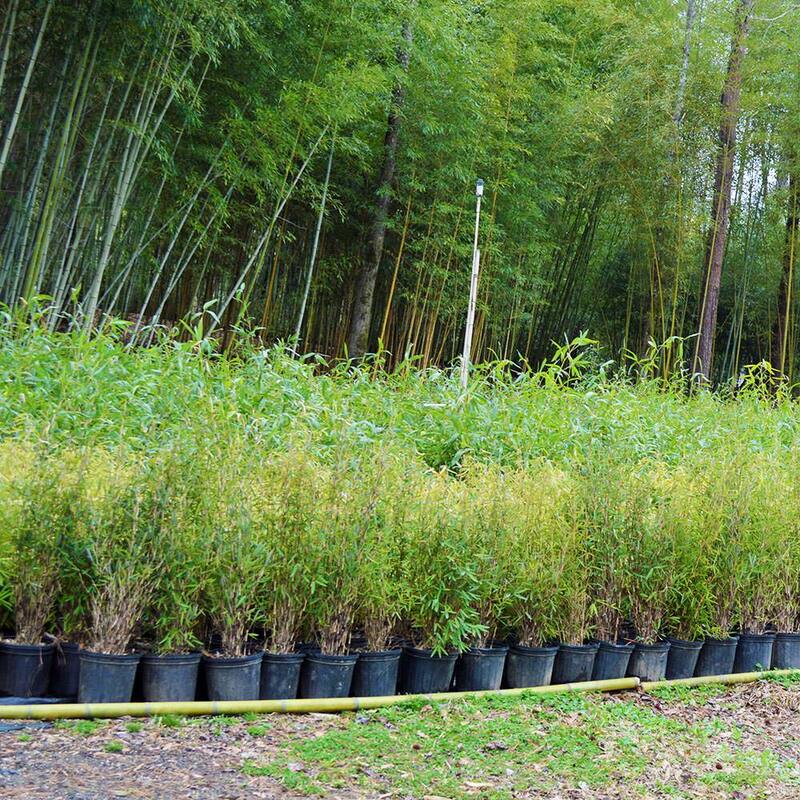 Extremely cold hardy clumping or non invasive bamboo that is slow to make a privacy screen but will make a great specimen plant in the landscape. The color of the culms (canes) are dark purplish and more upright than most clumping bamboos. Fargesia Nitida ‘Blue Fountain’ or ‘Fountain Bamboo’ is a extremely cold hardy clumping or non invasive bamboo. The color of the culms (canes) can vary from green, depending on growing conditions. Typical canes are darkish purple at maturity. This species tends to be more upright than most clumping bamboo. Great plant for a specimen planting but slow to form a privacy screen. Planting locations in hot afternoon sunlight exposure should be avoided in climate zones 7 and warmer.